Crane’s Lochaven Wilderness Lodge is located on a 4 square mile island, Commanda Island on the junction of Wolseley Bay, the North and Main Channels of the fabulous French River. This is where you will have access to some of the prime fishing waters for walleye, bass, northern pike and musky fishing, all of which may be caught within sight of our resort. From the lodge there is at least 200 miles of shoreline available without a portage. This area is bounded by 6 sets of white water rapids, the closest being the Little pine located ¼ mile across the river from the lodge; the furthest away being Chaudier Rapids 10 miles from camp. Many large bays and small islands make this section of the river truly awe-inspiring. Our Full American Plan Package includes all meals, boat, motor, seats with all required boat equipment, unlimited gas, ice and live bait, applicable fishing license and services such as daily maid and dock service as well as fish cleaning, packaging and freezing. All 15 fully serviced private log cabins have been arranged to give the best possible view of the river from the private sundecks and the welcome bottle of our own-labeled wine will set the tine for your holiday. 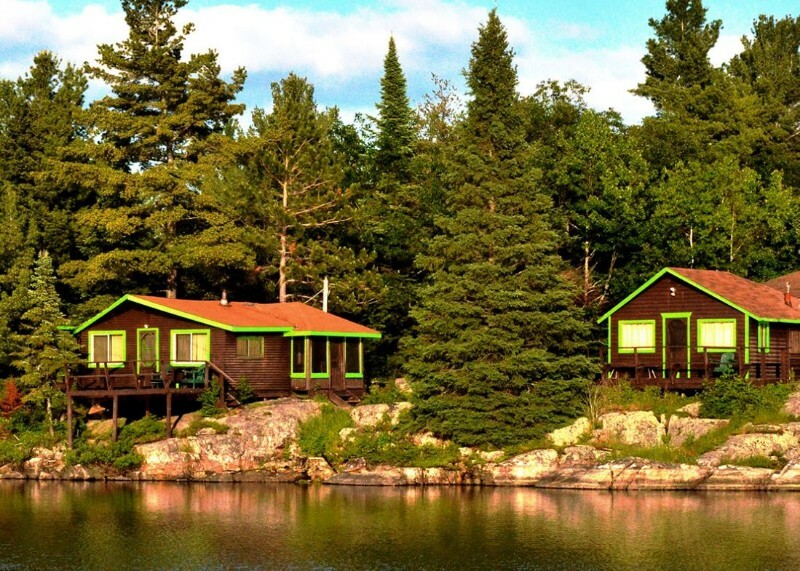 All cabins have heat, 4 piece bathroom with hot and cold running water and daily maid service. We service a wonderful breakfast and dinner in the dining lounge and offer the choice of lunch in the dinning room or picnic lunch or shore lunch with your guide. Our guests also enjoy a weekly fish fry and a weekly BBQ on the front deck. 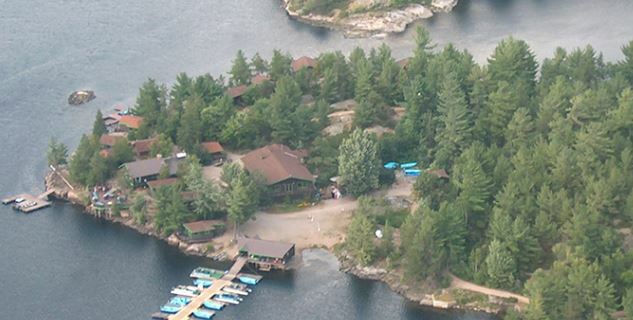 Our staff maintains your cottage and boat, prepare and service your meals and clean, package and freeze your fish. We are family owned and operated since 1973 and pride ourselves in catering to the needs of our guests. Our season is from 3rd Saturday in May to October Thanksgiving (Canadian) weekend.